It is with a full but heavy heart I write this. Almost 5 years ago my fiancé adopted Brutus. He had interview another boxer before and they just didn’t connect but it was love at first sight with Brutus. He and Brutus traveled together to the coast often, they loved laying on the couch watching TV together, and loved sharing meals on occasion. Brutus was the excuse for Mike and I to exchange phone numbers and Brutus was by his side when he asked me to marry him. He was such a chill and awesome dog that was the perfect fit for my young son and my biggest regret is that our daughter won’t be raised up by him also. Brutus was loved by everyone who met him and even the dog catcher let him ride shotgun one time. 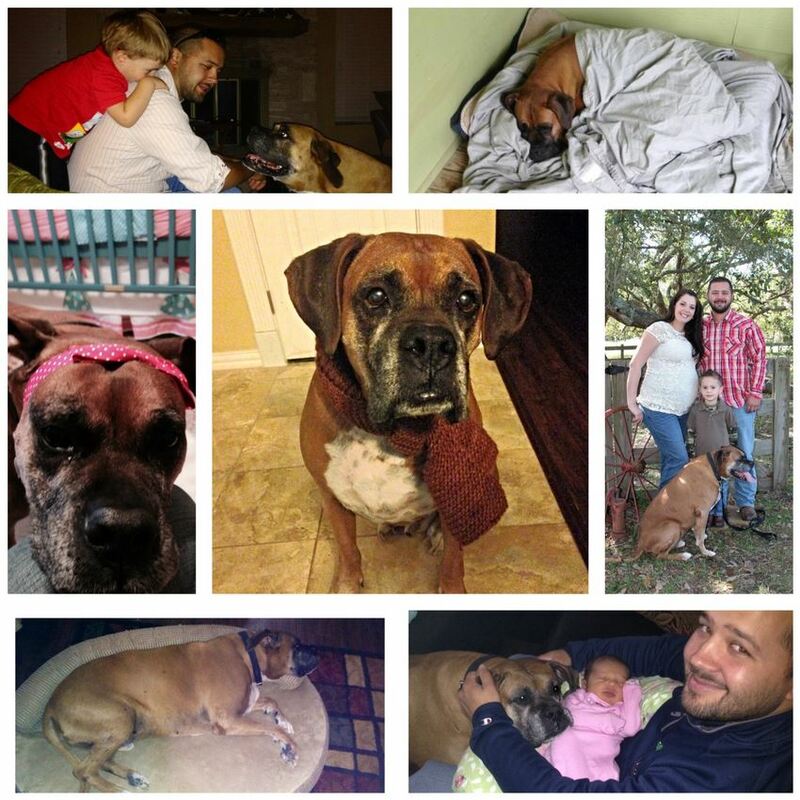 We enjoyed all of our short 5 years together and will miss his tail thumping on the couch when we walked in the door, his snoring while we sleep and his sweet constant loyalty.